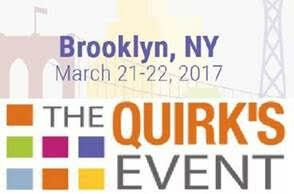 Attending the East Coast Quirk’s Event? We’d Love to Hear from You! Here at Observation Baltimore, we understand that the success of your research is directly linked to the quality of your participants. Recognized as one of the top Maryland market research facilities and rated “One of the World’s Best” by Impulse Survey, we believe that Experienced Recruiting Makes the Difference. Our experienced recruiting is the foundation of our mission, as well as courteous and proactive hospitality and client services. With 3 spacious focus group suites, we are equipped to handle just about any type of project you can think of. From food and beverage taste tests to website usability testing, clients from across the globe continue to seek out our services for their research needs. Located 10 minutes from Downtown Baltimore and only six minutes from BWI airport and AMTRAK, clients rave about the convenience of our facility. To learn more, visit www.observationbaltimore.com. This entry was posted on Wednesday, March 15th, 2017 at 12:59 pm. Both comments and pings are currently closed.